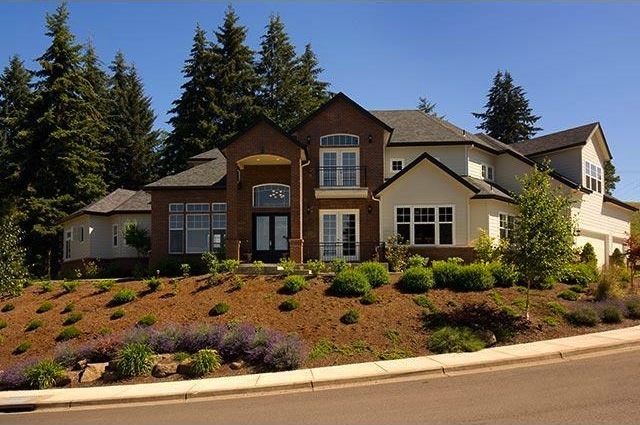 Even in the hot sellers market that we currently have here in the Eugene and Springfield area, it is important to prepare your home for sale if you are going to put it on the market. Paying attention to detail and having your home in great condition can mean a quicker sale and far more money. Even in this market, I see homes sit out there and not sell. You still have to price your home right, but condition is an extremely important factor for most homebuyers. 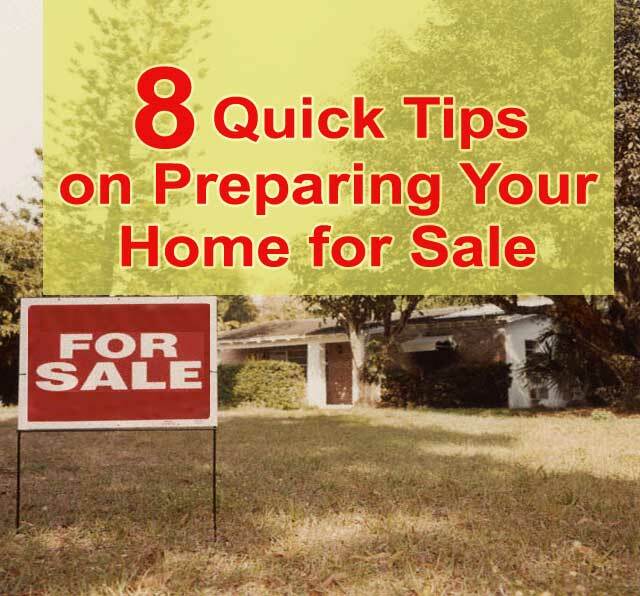 Here is an article from "Realty Time" that will give you some pointers on preparing your home for sale. Unless you've never bought or sold a house before and have never looked at home listings or watched a single show about real estate (which is pretty hard these days), you have some semblance of an idea of how your home should look when you go to sell it. You probably also have a clue about how best to show off that home in photos (or, at least, you know the importance of showing off that home in photos), even if you personally lack the skill to take them yourself. But what happens when you ignore the rules? Does a hot market render them irrelevant? Is it OK to list a home for top dollar when the condition is more fixer-upper? "You might think that buyers can see the potential of a house that just needs a little bit of work, but most are looking for a house that is move-in ready and doesn't need any major repairs," said Business Insider. 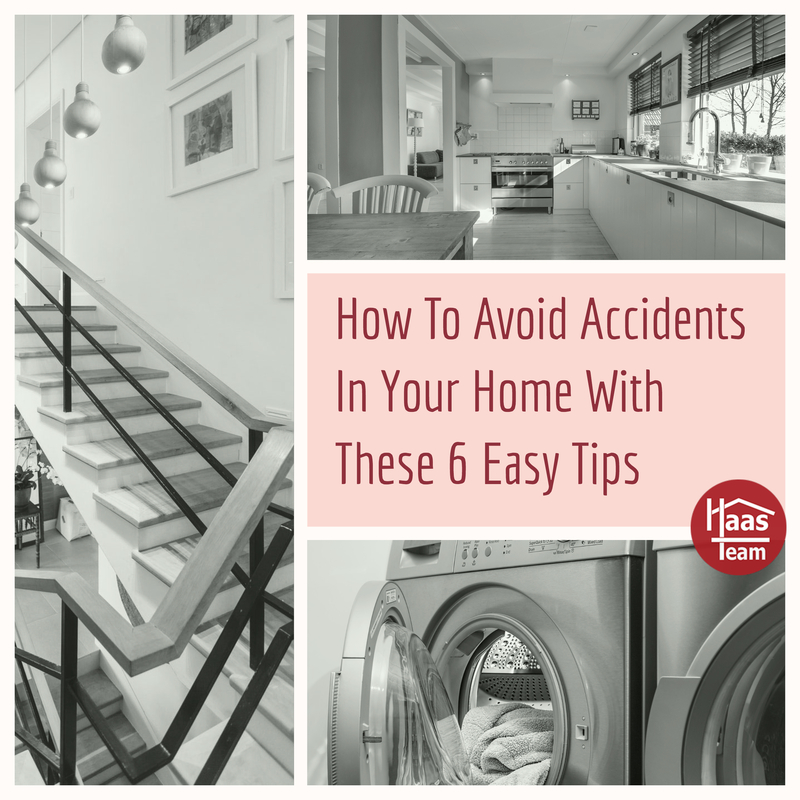 "And even a home that only needs minor repairs may still look like a bad deal to some buyers, turning them off based on appearance alone." The truth is that if you want good money for your home, you have to do a little work to get it "show ready." Buyers expect to be able to walk into a clean, decluttered home - at the very least. If it's not updated, it better at least look like it's move-in ready. So how do you explain this listing, then? We'll leave the address and other identifying info out of it to protect the innocent. But a few things we can say: The home is brand-new to the market, and is no bargain, as you might think from looking at the photos; It's priced at least $10,000 over what it should be, just based on comparables, which, for a house in the low $200,000s, is considerable. The photos were obviously taken by the homeowner, who clearly didn't know how to best show off the property (although there were a couple snaps that were passable for an amateur) and who, it looks like, didn't even care enough to try to get it right by: Getting the camera in focus, cleaning out cluttered spaces, and even making sure there weren't random people in the frame of one shot. At least it will serve as a great example of "what not to do" when selling your home. We'd be remiss if we skipped over one of the main problems here before getting into the details. Don't Take Your Own Listing Photos. Oh, were we screaming? Photos that were not professionally done stick out like, well, photos that weren't professionally done. "You already know that a listing with pictures attracts a lot more attention than one without, but do you know how to take great pictures of a home? Whether you're an agent or a person trying to sell his own home, it's vital that you make a big first impression, and pictures are the best (and maybe only) opportunity that you will have to do just that," said Inman. Don't want to make any upgrades to your kitchen before you get the home on the market? That'll cost you (literally). Even painting out those cabinets, a cheap and easy fix, would make a huge difference. But, if you're not going to make changes to improve this key area, at least make the most basic effort to show it in its best light by removing as much clutter as you can. That means everything off your countertops. And your fridge. And the top of our fridge. There's no reason that stuff can't be put away for photos, and for showings. Basic staging rule #1. That printer on the kitchen counterop says: "We don't have room for a home office." Unplug. Put in closet. Problem solved. People like bedrooms - clean and tidy bedrooms that they can imagine their children sleeping and playing in. What, exactly, are we trying to show off here? The dead animal on the wall? The clutter on the floor? The glare from the windows? Perhaps the unique angle of the image that ignored all those basic listing photo rules? This shot shows none of the attributes of the room and only makes a potential buyer question the seller's taste level—and gives them closet space concerns. Maybe check the photo to make sure nothing is blurry before posting it? Just a suggestion. Also, even if this picture was in focus, it still wouldn't be effective. You're not selling bedding, you're selling a home. This image tells a potential buyer nothing about the size or condition of the room. Where do we even start here? From the weird angle that doesn't show the space, to the missing light bulb, to the clutter in the shower/hanging robe, this is just all wrong. It goes without saying that showing off your outdoor space is important. A little effort to repaint the unkempt patio would have helped. At the very least, mow the yard, trim the bushes, and remove the ladder. An unkempt backyard will only make a potential buyer wonder what else needs attention, especially if they've seen some questionable spaces indoors. Stalker alert! The straggler near the fence draws attention away from the other features of the yard - which, in this case, might not be so bad, really. Still…If you only have one photo of the yard or if the best of the bunch has a person in the frame, there's still one thing you can do: Learn how to use the camera's crop feature. 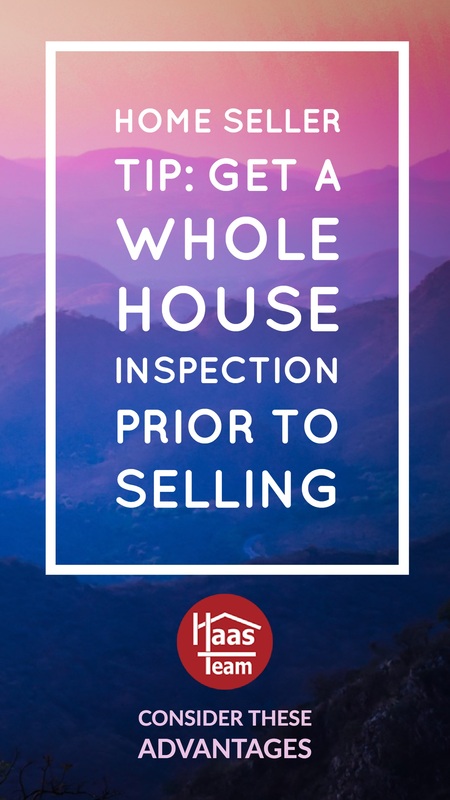 If you are purchasing a home, one of the most important steps is to have the home you are purchasing inspected by a professional home inspector. This way you will not have any surprises after you have purchased your home. 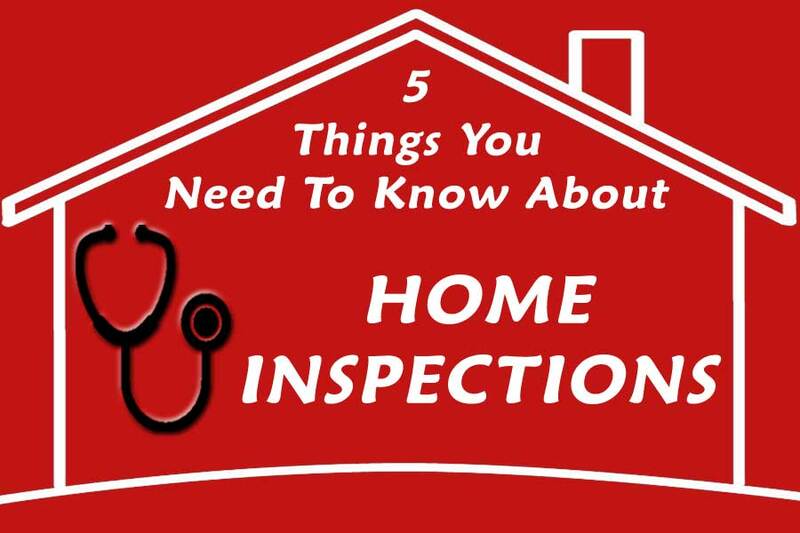 The following is an article from "Realty Times" that gives you some suggestions on how to get your home inspected. 1. You can choose your home inspector. Your real estate professional can recommend an inspector, or you can find one on your own. Members of the National Association of Home Inspectors, Inc. (NAHI), must complete an approved home inspector training program, demonstrate experience and competence as a home inspector, complete a written exam, and adhere to the NAHI Standards of Practice and Code of Ethics. If you currently have a home on the market for sale or if you are getting ready to put your home on the market, the way your home appears on the outside is extremely important. Now that Spring is here and Summer is not far away, the way your home appears outside will have a huge impact on the kind of interest you get in your home. A home with neat, attractive and well kept landscaping will not only get more interest, but it will sell for more money. 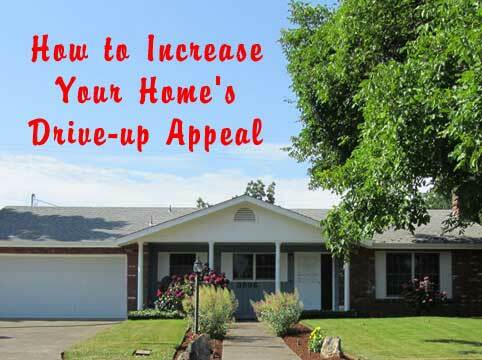 Here is a blog post from "Realty Times" that adresses curb appeal. If you're not sure where to begin, go to your local landscape supply with a sketch or photo of your home and ask for ideas. Explain that you're selling your home and you need help with curb appeal. You may get a lot of free advice that's really helpful. 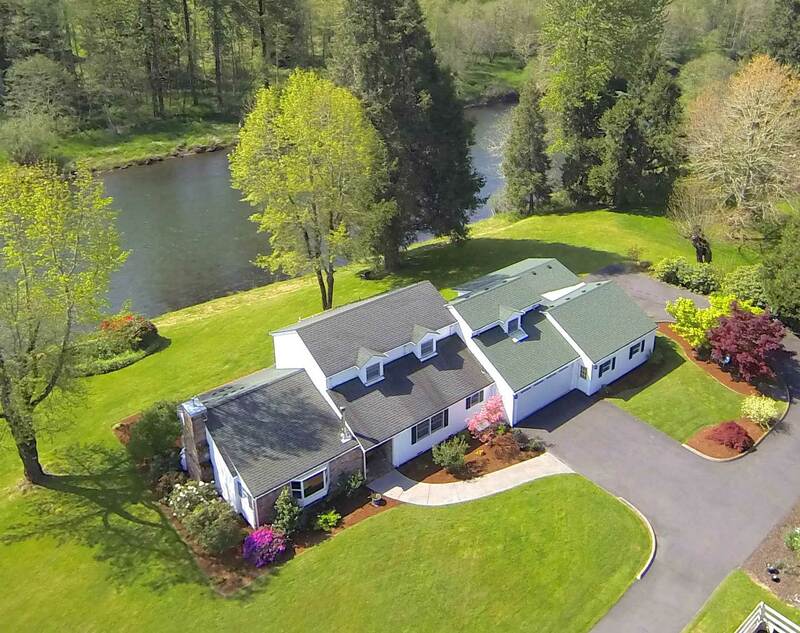 With the housing marketing beginning to heat up again in the Eugene and Springfield market area, the climate for selling a home has never been better. If yoiu are considering putting your home on the market, there are a few things controlled by you that can make a huge difference on how long it takes your home to sell and at what price your home sells at. 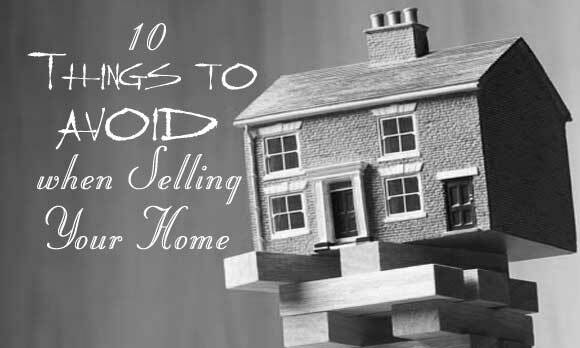 The following is an article from "Realty Times" that goes over some home selling dont's. If you want to make sure you get your home sold quickly and for the right price, you'll want to avoid listing it with the following. Daylight savings time... that glorious day when early risers get an additional hour of sunlight as they greet the merry morning. That horrifying day when commuters find they are cloaked in darkness on their nightly drive home. However you feel about it, one thing is for certain: daylight savings time is here. We're falling back, so what are we going to do about it? Well, for starters, we're going to make sure it's light and bright in our homes. After all, our health may depend on it. "Over time, that increase in darkness can lead to feeling blue and even experiencing Seasonal Affective Disorder," said Huffington Post. "According to the NIH, symptoms of SAD typically start in late autumn and winter and include increased appetite, increased daytime sleepiness, decreased energy in the afternoon, loss of interest in work, unhappiness and lethargy." Even if you're not personally affected by the time change, your house is. It's dark in there! Here are some ways to lighten it up. If you have solar shades on your windows to keep the bright sun out and lower your electric bills in summer, consider removing them until spring. 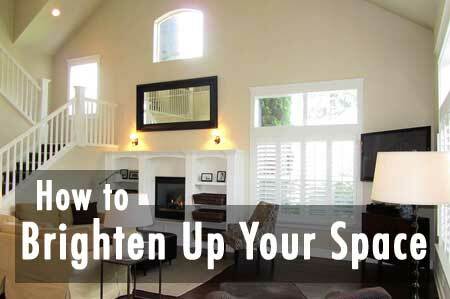 You'll get more light streaming into the house, which could also help with your heating bills. See No. 1. Plus, sheer fabrics and/or lighter colors could re-energize your décor. "Some window treatments, such as Roman shades, block sunlight even when they're open. 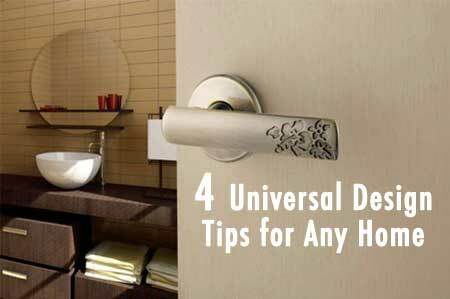 But sheer draperies hung on rings are easy to open fully to let in light," said Reader's Digest. "Venetian blinds are also a good choice: They allow you to control the amount of light that comes in, and you can angle them to direct the light into a particular area. Scour the living areas for dark corners or areas that need a boost. Placing a desk lamp or floor lamp strategically could make your place feel brighter and more inviting. You may have opted for softer light when you purchased your light bulbs, or you may not even know what you have—or what's allowed. Check the lamps for the max wattage and pump up the light accordingly. You'll see a real difference in the amount of brightness in your room. Installing a skylight can bring light into your house year-round. An option like Solatube is easy to install and surprising affordable and effective. Who says lighting has to be traditional? Use this as an opportunity to show your creativity. And that goes for placement too. If you don't have the perfect spot to put a desk or floor lamp, wall mount it. Don't have an electrical outlet in a place where you want lighting? Go solar. You can see some more examples of wall lighting on Houzz. "Dark walls absorb light while brighter walls tend to reflect it," said Build Direct. "On this note, painting your walls white is a great way to get more use out of the natural light that filters through your home's windows." Mirrors reflect light, so you can actually create the illusion of a lighter space. "Hanging or propping a large mirror on a wall opposite a window doubles the light streaming in," said Reader's Digest. "You can use smaller mirrors to line the backs of bookshelves, or arrange several of them on one wall. Another idea is to buy furniture with glass, chrome, or mirrored accents." The bonus: mirrors can also make a small space look larger. Don't want to get new mirrors? Clean the ones you have. "It's amazing just how much sunlight is lost through a window pane covered with dirt, grime and soot. Thoroughly clean one or two windows or mirrors in your home," said The Order Expert. "There's no need to go on a cleaning binge if you don't want to; cleaning just one carefully selected window can work lighting wonders. When you're finished, take a step back and enjoy the fresh, bright light!" Now that we are well into Fall and the weather has certainly changed, it is that time of year to make sure that your home is prepared for the weather ahead. Here is an informative article from Realty Times that gives you some great inofrmation on winterizing your home. April may bring showers, but winter weather can bring all sorts of other unexpected and expensive damages to your home. Fall's cool temperatures are a reminder that winter days are on their way - take stock of what you may need to do to prepare your home beforehand, and you'll be ready for the onslaught of ice and snow. Here are several simple, cost-effective tasks you can do now to make the transition into the colder months easier. Once the leaves are off the trees it's time to clean out your gutters. Poorly maintained gutters can damage the roof of your home as well the exterior. When snow and ice mix with clogged gutters, it's a recipe for disaster, inside and out. Leaves and debris will prevent moisture from running off the roof, resulting in ice dams and water leaks. Before flurries form make sure to clear out any waste that's accumulated, and also be sure to note any missing or broken pieces and have them repaired. Remove potentially hazardous branches, or structurally unsound trees that could pose problems under the weight of snow or in the midst of a dangerous windstorm. You don't want to be the person waiting in the frigid cold for a repairman to come when your heater stops in the dead of winter. Instead, have an inspector come in and make sure that the system is well ventilated and running smoothly before the first cold snap hits. Inspections generally run between $70-$100. If you live in an area where winter storms consistently knock out both electricity and heat, consider investing in a small generator. 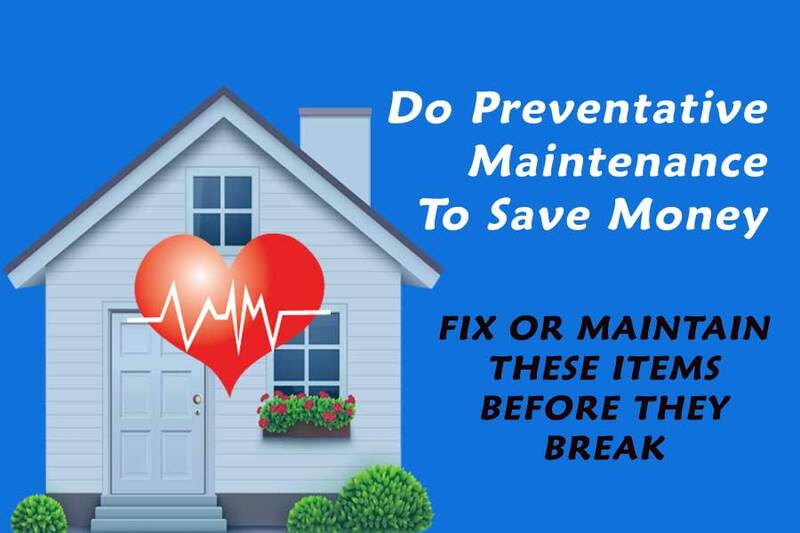 Learn more about what you can do to ensure that your system is operating properly, and give yourself time to make any needed repairs before winter comes and the heating companies are overbooked. It's happened to all of us. Waking up to discover a solid two feet of fluffy white snow layering the ground, only to realize that we've just got one old, dull shovel to dig ourselves free. Before stores are bought out of the necessities, make sure you have everything you need in case of a blizzard: a shovel, flashlights with extra batteries, one or two bags of road salt to coat the driveway, sidewalk, and walkways, and an ice scraper or two. Keep an emergency kit in a designated spot, and when you awake and find yourself trapped in a winter wonderland, you won't be stuck trying to come up with new and inventive ways of unearthing your car tires. Ceiling fans aren't only useful in the summer months. If your fan has a reverse switch, you can keep your home extra warm in the winter by reversing the cycle of the blades. Having the blades rotate in the opposite direction will create an updraft. Since heat rises, this pushes the hot air down and re-distributes it throughout your house. It's especially useful for homes that have high ceilings. In the depths of winter the average home can lose nearly one third of its heat through drafty windows and doors. If the gap between your windows and doors is greater than the width of a nickel, it's time to reapply some exterior caulk to prevent this heat from escaping. Silicone caulk is highly recommended due to its non-shrinking quality and impermeability to the harsh elements. Block drafts from coming under doors with "draft dodger" door stoppers. You can easily make your own at home. Taking these extra steps will ensure that when the temperature drops, the cold and unforgiving air will stay outside where it belongs, and save you any money you'd be spending on additional heating.